Their George Benson signature model. 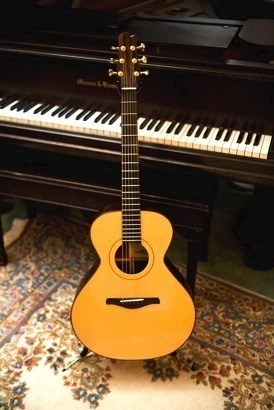 Made in 1983, I bought it in 1997 to replace my 'lost' Gibson Howard Roberts model (see below). Purchased from my former guitar teacher Rob Houston with my bus-boy earnings in 1969. It would now be worth about as much as a new car if it were not for all the modifications we both made to it. Stolen in Lima, Ohio in 1971, and recovered by the police in one days time. handcrafted by Willie himself -Willie Carter Guitars. On 2 occasions (I’m loath to admit) this guitar was accidently left behind while packing the car. The first miraculous recovery happened 2 weeks after losing the guitar, the 2nd one happened one-and a-half years after the loss. Purchased new in 1986. 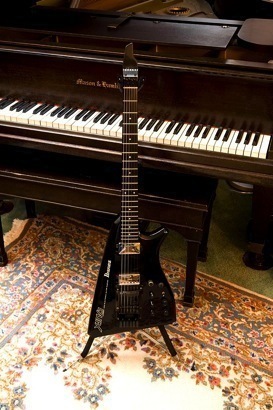 The midi interface allows this guitar to sound like...well, anything...even a guitar. There was a time that I thought that it had been “borrowed” from our garage, but I found it 6 months later in the very same garage, lurking behind a tall file cabinet. It was all because of a spring cleaning that went a little too far. "Left" for a week on stage after a gig...guitar was not disturbed by management, staff, or the numerous other musicians that played the now defunct Palace in Sunnyvale during that period! The original pickup in this guitar was upgraded to a Fishman/L.R. Baggs hybrid cleverly customized by Brian Michaels at Gryphon Stringed Instruments. 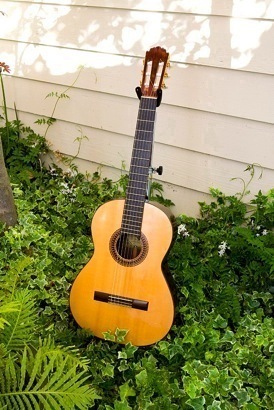 Purchased used 1992 from SRI (Studio Instrument Rentals) in San Francisco. Improved last year with celestion speakers to replace the originals which went to the big-amp-in-the-sky after voice coil arrest one evening whilst playing the Hedley Club. The final noise they coughed up was reminiscent of the sound of forks being dropped into a whirring blender, only 4 times louder. 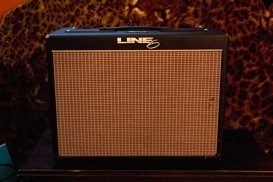 This amp replaced my '67 fender twin reverb which was stolen from my car in 1989. This amp is equipped with 'DMC':Digital Modeling Circuitry. This design lets the user choose between a dozen different classic amp 'replications'. It also gives other guitarists the opportunity talk about how much it doesn't sound at all like the amps it imitates.